Sunsikell | Adventures in the quest for color. Adventures in the quest for color. 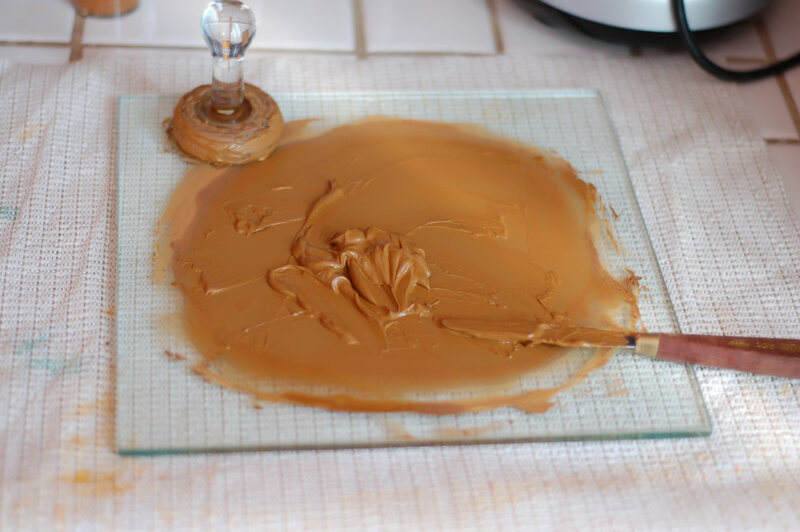 You can pretty easily manufacture your own casein paints by mixing gouache paints with casein medium. I had done a few grisailles (you can see some of them here) using Shiva raw umber and titanium white that had been sitting around the place for a few years. (Some casein paints go bad pretty quickly in the tube; I don’t know why these two lasted so long.) I had an idea I liked the medium, and I wanted to try out a color sketch without waiting for my new paints to show up. So I mixed some of my gouache paints with casein medium. The one I used was Shiva’s Casein Emulsion. Like egg tempera, casein can be dispersed with oil, and that’s what emulsion means in this case. I purchased the stuff for a different purpose entirely, to prime illustration board for gouache painting, but I quickly repurposed it. I mixed roughly equal parts of gouache paint and casein medium. The paints were a little loose for my taste, but otherwise they worked fine. I wound up continuing to use these makeshift casein paints while slowly supplementing them with Shiva tube colors. The medium, by the way, isn’t perfect; partway through the bottle the oil began to separate and form a puddle on top. But I was able to pretty easily wick this off with a paper towel. There are a couple of others available on Kremer Pigments I’ll also try, and at some point of course I’ll be making my own. 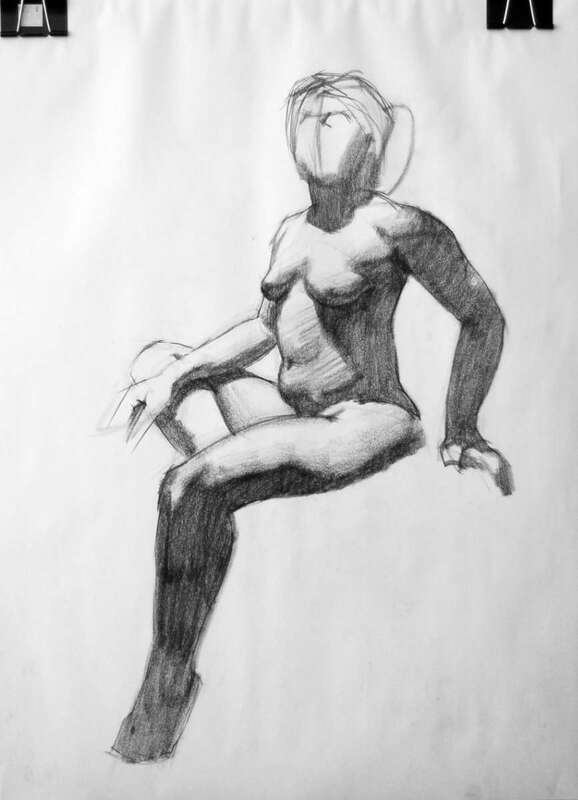 Casein is a wonderful medium—try it out and have fun! I just like the way it handles. Gouache feels, well, gummy. I have to paint by tiling, softening any edges only after the paint has been laid down. Casein feels creamy. It dries just as quick as gouache, but I don’t know… I feel like I can just paint with it. I can tile or not, just as I prefer. And working with edges seems much easier. After a few days casein cures and becomes water-resistant. That means you can do real underpaintings in it. It’s this aspect of casein that got me to first try it. 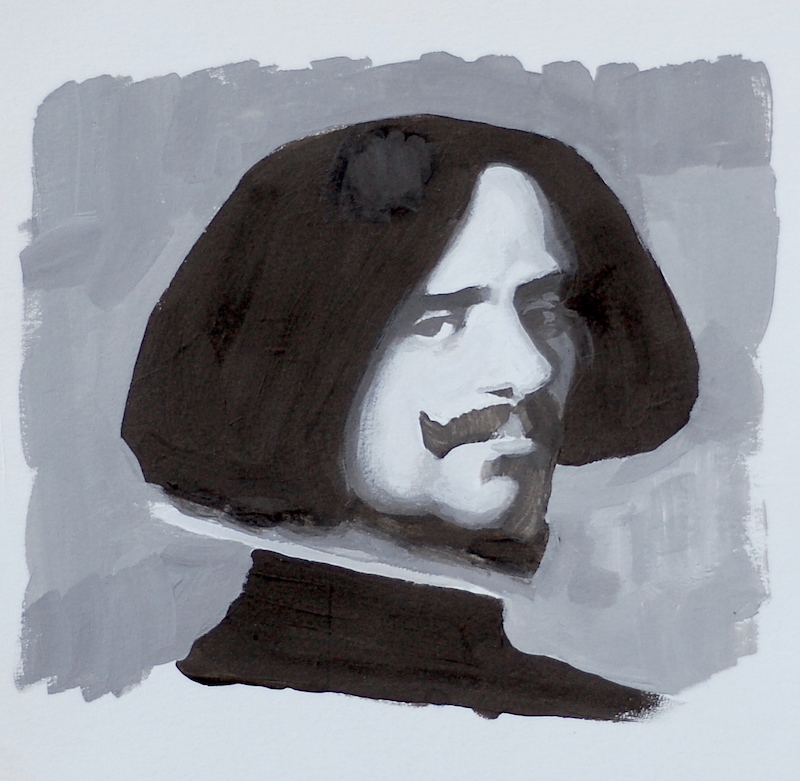 I thought I’d do underpaintings in casein, then overpaint with gouache. But then I fell in love with the medium, and it’s become my thing. My casein paintings are better than my gouache paintings. ’Nuff said! I’m quite interested in the idea of glazing over caseins, with transparent colors in gouache or watercolor (or even oil, if the underpainting is on panel instead of paper). I very much like the idea of using some of the techniques I’ve practiced in oil, but in water-based media. Casein makes that possible. Here’s an article about aqueous dispersions and what they’re for: Aqueous Pigment Dispersions. 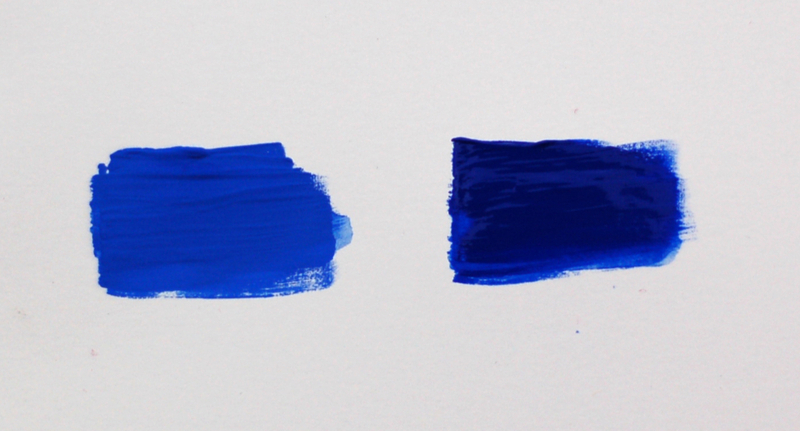 Cobalt blue, ultramarine (in the back), alizarin crimson, cadmium red, raw sienna, yellow ochre, cadmium yellow. The alizarin crimson was by far the most difficult to mull and clean up; I think it took up about as much time as the rest of them put together. And even when I called it finished, the resulting dispersion is weird… slabby, for want of a better term, almost as if it were a natural clay or something. I’m not sure why it behaved like this, but it may be that some of these pigments have been sitting around for quite some time. In any case I’m not really happy with it. I’ll try grinding some with a mortar and pestle before mulling it next time. The cadmium red also took a bit of work for some reason, coming out grainy like a natural earth—which would be great for oil paint, but I’m not so sure about it in water-based media. We’ll see. The rest of them were easy peasy, dispersing in the water in no time flat. LaCons. I’ve heard they’re all right; an illustrator friend has told me they keep his acrylic paints moist for months at a time. 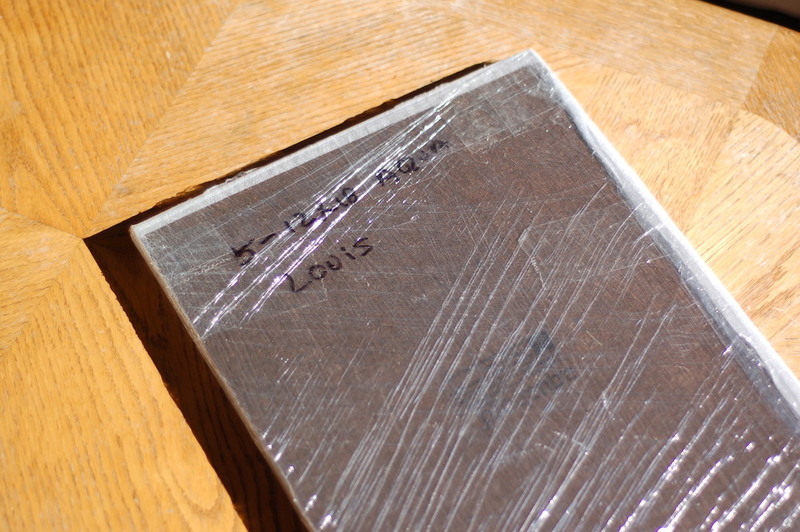 There are places you can purchase ready-made aqueous dispersions. Natural Pigments has some, as does Kremer (“color pastes,” as they call them); Guerra Paint offers a huge selection of them. Natural Pigments offers mainly earth colors, as you might expect; both Kremer and Guerra have a bismuth vanadate yellow, a color I recommend for anyone trying to get cadmium yellow light off their palette. 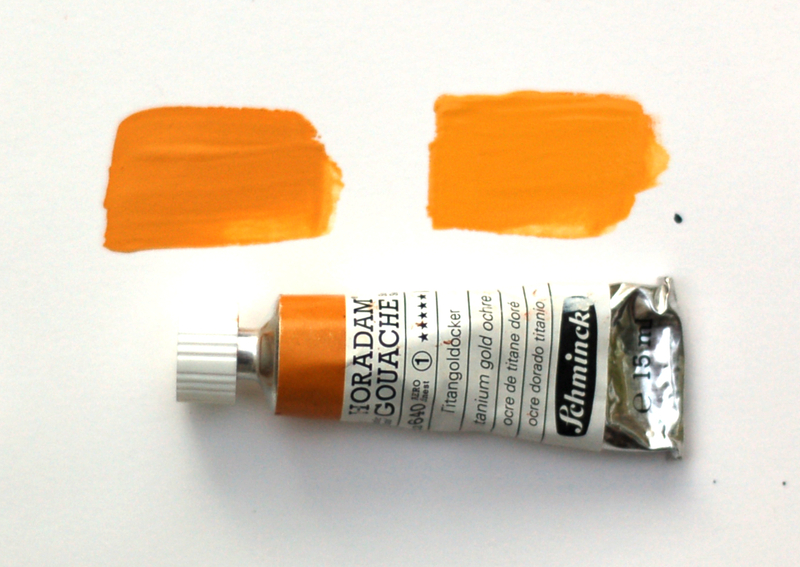 A jar of cadmium orange pigment, by far my favorite cadmium and pretty much the only cad not represented in my recent pigments windfall; and two (!) tubes of genuine PB33 manganese blue from Vasari, I believe the only brand of it available in an oil paint any longer. I’ve been intensely curious about this color that’s hovering on the edge of extinction. 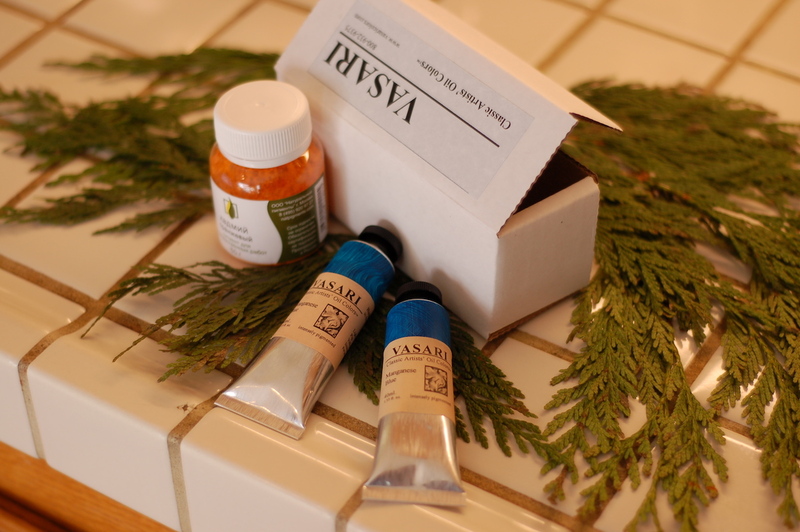 And I’ve been wanting to try out Vasari paints in any case. Nice. 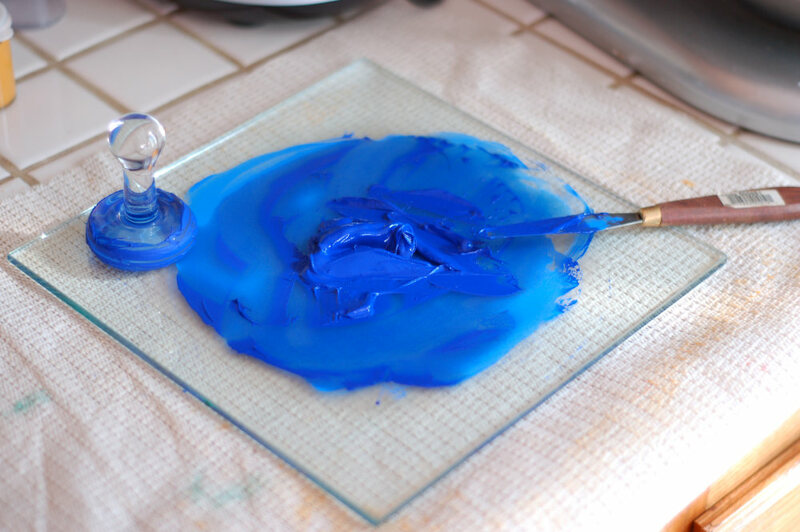 When you’re making water-based paints—gouache, casein, egg tempera—you can mull your pigments directly into binder, or you can use aqueous dispersions. Aqueous dispersions are simply pigments that have been mulled into water, without the binder. 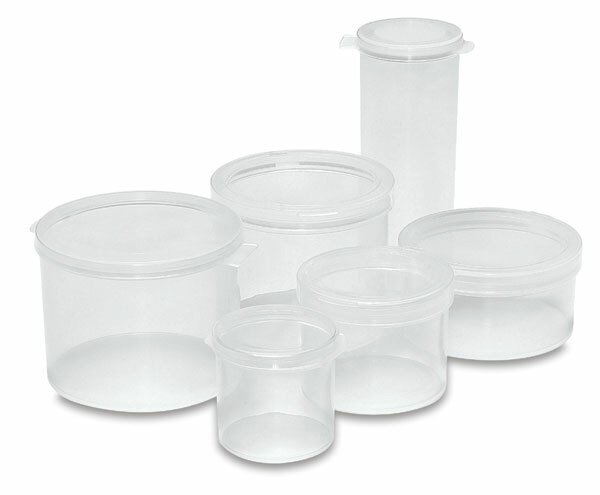 They can be stored in jars (with well-fitting lids! ); then, when you need to put some of a particular color on your palette, you simply grab some of the dispersion, mix it with your binder with a palette knife, and go! The main reason I’m playing with this right now is that I’ve been realizing casein might just be my medium of choice, for illustration work at least. Aqueous dispersions make a lot of sense to use with casein, because casein paints have a shelf life. They will go bad if you don’t use them quick enough. But aqueous dispersions should stay indefinitely. If my casein medium goes bad, I’ll have to toss it out… but at least I won’t have to discard a bunch of paints along with it. Mulling aqueous dispersions is both easier and more difficult than mulling paints. It seems easier, until cleanup time. Since you’re only adding water, any drying on the slab reverts the pigment back to, well, pigment. It’ll blow around and get all over everything. 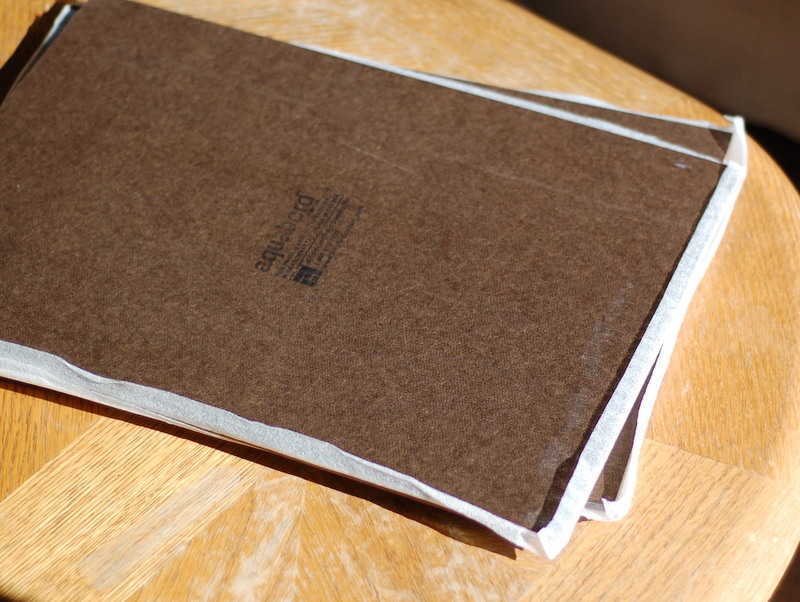 Mmm, raw sienna. Nice and dirty, the way it ought to be. Ultramarine. 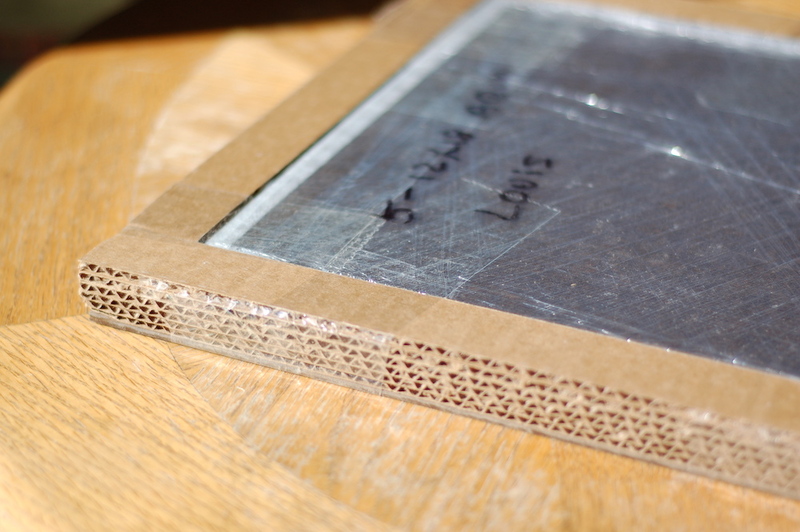 You can see it drying around the edges. This was about the time I began to realize how messy this can be. Boy, look at that color, though. If folks from the Middle Ages could have known how cheap and easy this color would one day become, they’d be absolutely murderous with envy. Something to keep in mind as I wallow in this embarrassment of rich hues. More on aqueous dispersions later. See you next year! 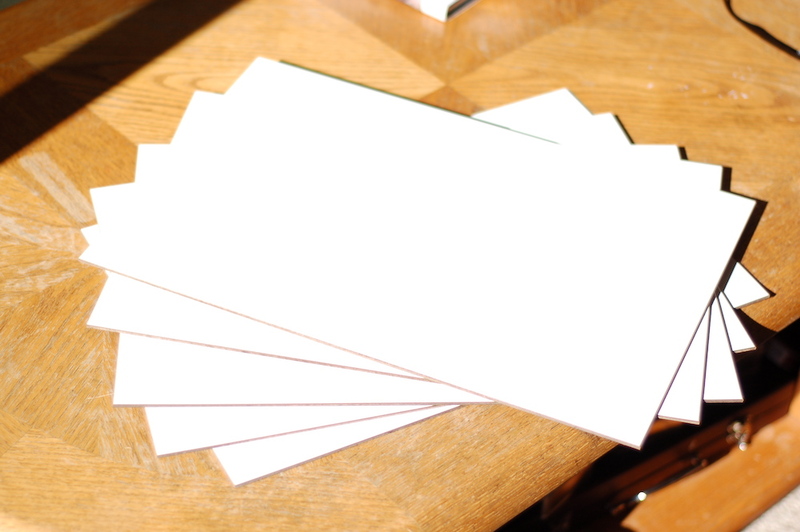 Yesterday I received and unpackaged five panels of Ampersand Aquabord. Custom size! 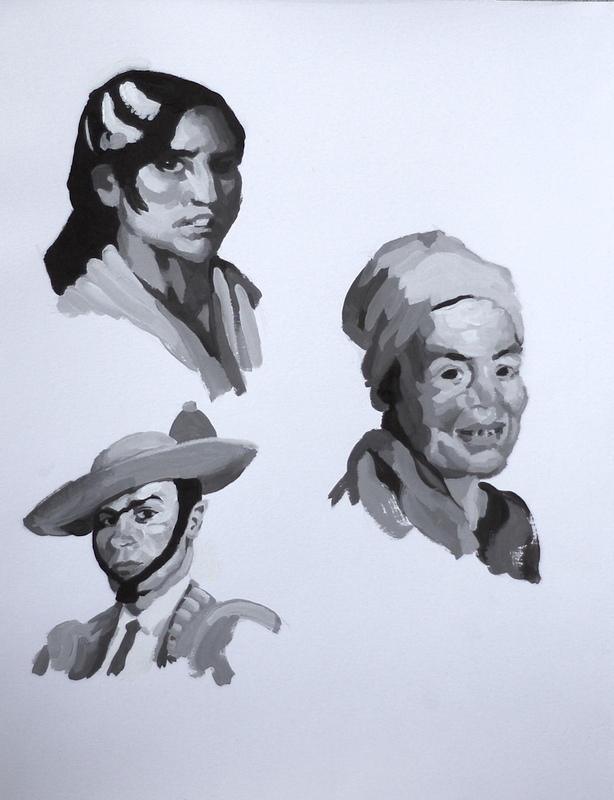 I’ve been working on smaller, standard Aquabord panels, and I like them for the casein studies I’ve been doing. Like Ampersand’s Claybord, they’re gessoed with an absorbent clay-based white material; unlike the Claybord panels, they’re not mirror-smooth. (They’re essentially what the discontinued “Textured Claybord” product used to be; I did some egg tempera studies on these once upon a time, here and here.) The Claybord surface is a bit slick for my taste, but the Aquabord is quite nice. Its texture seems to grab hold of the paint on the brush, making it easy for me to cover large areas with color. The only thing that disappointed me about the panels is the sizes available. 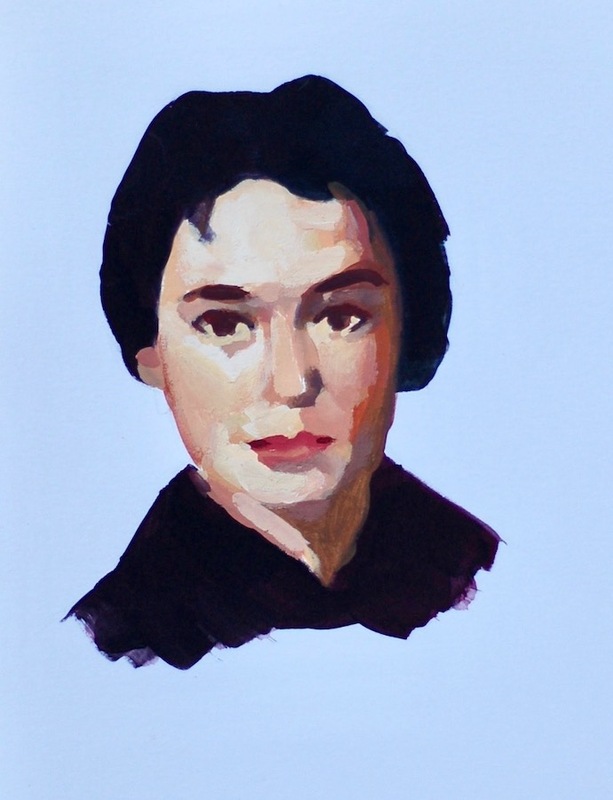 They’re geared toward fine artists, and that’s great… but in the near term I’m planning to do book cover illustrations. eBook covers mostly have a ratio of 1:1.5 or 1:1.6; the only standard Aquabord in those proportions is the ginormous 24×36″, too big to be practical (although I may just try one out someday!). Luckily for me, Ampersand makes it easy to order custom sizes. And they’re not even very expensive, not much more than a similarly-sized standard panel from Blick. Contact is at the bottom of the page at aquabord. Having received advice from several illustrators to double the intended final size of the image to find the best working size for painting, I started with an old standard paperback size of 6×9″ and doubled that for a panel size of 12×18″. I ordered five to try out. Ampersand seems to be a good organization that wants to help out individual artists. That makes me feel all fuzzy. An amount of pigment has recently come into my possession—quite an amount, in fact. An older artist passed away, and the stash of pigments he left behind was so large I understand it was in some peril of simply being thrown out. I had to keep that from happening, of course. Artist’s pigments are precious! I have received a total of 71 (!) 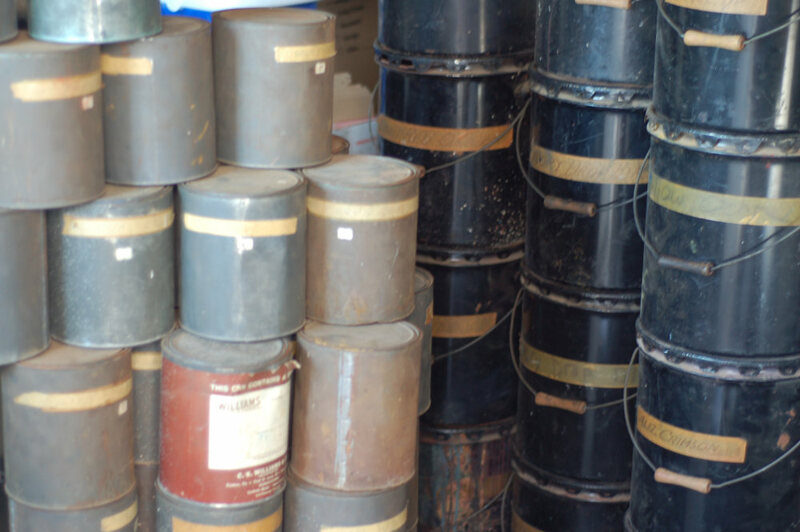 one-gallon cans of pigment in various states of fullness; 15 five-gallon drums (holy crap! ); and one jar of an unidentified blue, say about 400g or so. There’s also a single box left unclaimed, by its photo a lovely-looking violet I expect will be either manganese or cobalt. Excited about that one, still waiting to hear. 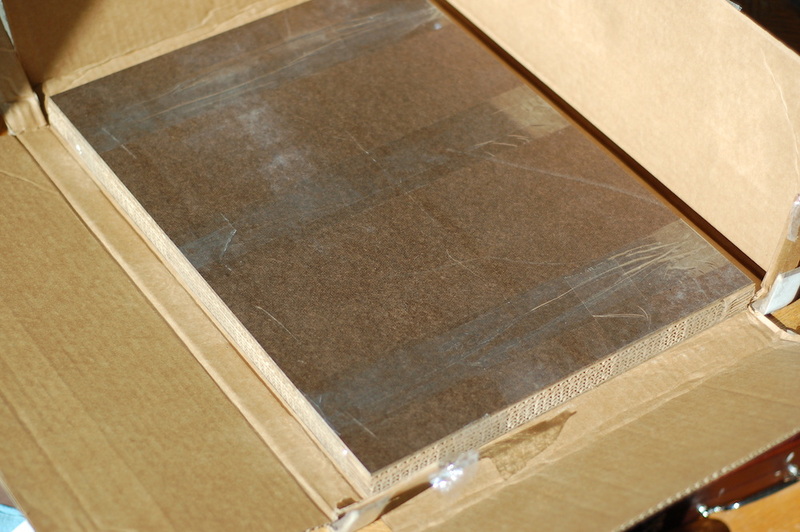 There’s lots and lots of bone black and raw umber, far more than any artist could ever use in a lifetime of painting. Maybe a mural painter. Also significant amounts of burnt umber, chromium oxide green, viridian, alizarin crimson, and iron oxide red (it’s labeled “light red” but isn’t—it looks more like Venetian red). 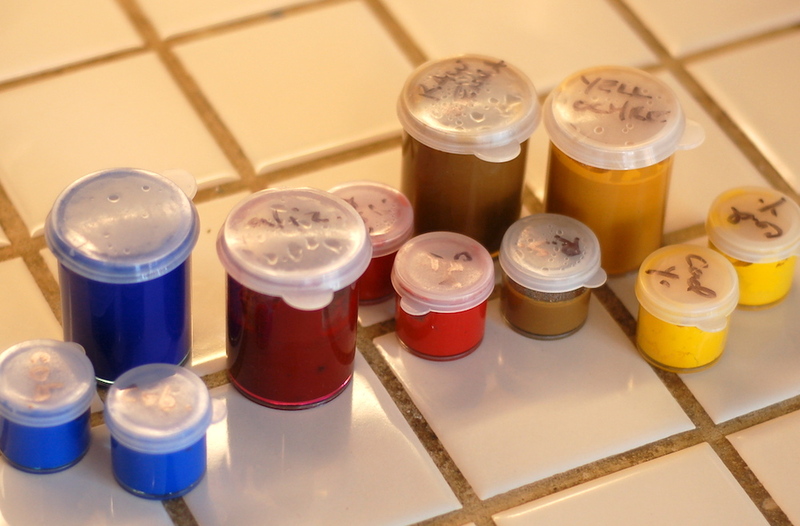 Plenty of cobalt blue, burnt sienna, raw sienna, yellow ochre, and ultramarine blue; cadmium primrose lemon, yellow, yellow deep, red light, red, red dark, and maroon; and two cans of phthalo green. The second row is with some Winsor & Newton Aquapasto added. See how the watercolor medium helps preserve some of the transparency of the viridian? Pretty cool, huh? This windfall is timely for me. 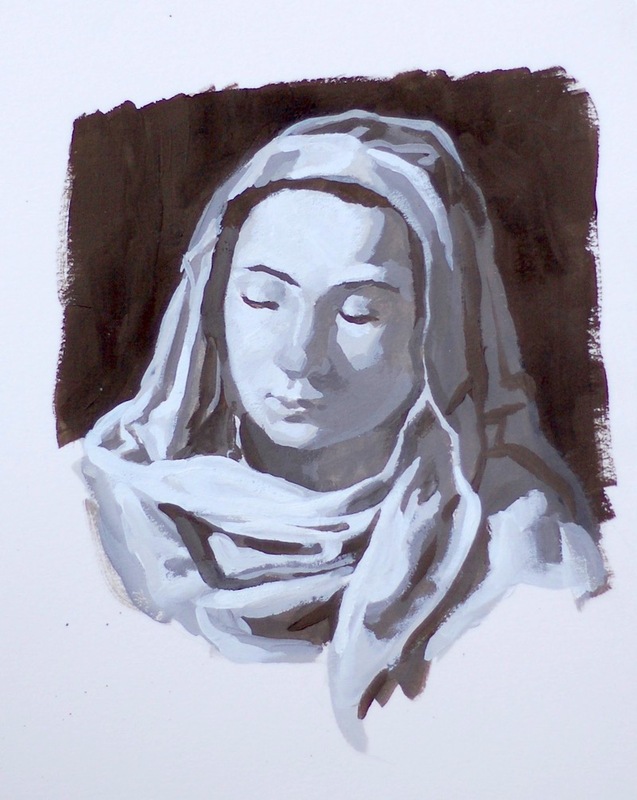 I’ve just begun my adventures in casein, and with that medium you’ve pretty much got to make some of your own colors (unless you’re completely happy with the ones in Richeson’s Shiva offering). Luckily I’ve got plenty of experience hand-mulling paint, and some of these pigments will give me just the playground I’ll be needing. I’ve also mulled several other of these pigments into aqueous dispersions, which I’ll post about next. 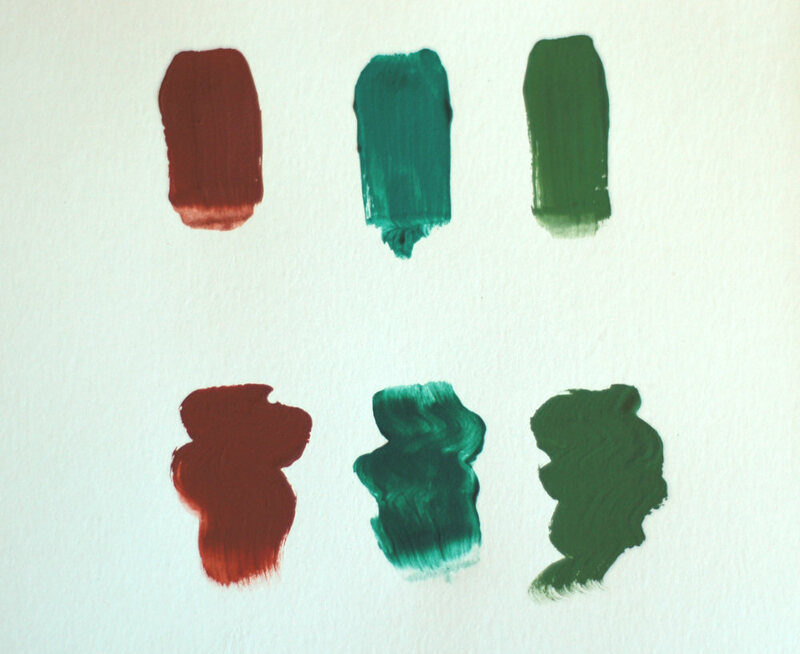 With matte, water-based media—gouache, casein, or transparent watercolor—some pigments can suffer a shift in color when losing moisture. The reason for this is physical—the scattering of light, or some such physics thing. The reason this doesn’t happen to the same extent in oil paints is that they remain more or less “shiny,” continuing to scatter light similarly to they way they did before curing, which is close to the refractive index of the surrounding air (again: or some such thing—I never took a physics class in high school, and I’m sure it shows). When gouache or casein dry they effectively go from glossy to matte, so some change in color is to be expected. For a useful (if incomplete) reference on how different pigments behave in watercolor, check Handprint: watercolor drying shifts. Many artists have learned to deal with this phenomenon. A quick image search for gouache paintings or casein paintings proves this amply. If you’re intimately familiar with your materials, you can keep an eye on which pigments you’re mixing, judge the drying shifts they’ll undergo, and adjust your mix accordingly—before laying it down. If you really know what you’re doing, you won’t be surprised by the result when it changes. Many, many good artists have learned how to do this. Personally, I can’t deal with it. It freaks me out. I feel like I have enough trouble predicting how a color will look in a composition without having to worry about it changing on me after I lay it down. Oh, I can handle it to some extent. I have to, if I want to use casein or gouache (which I do—the matte aspect means they’re easy to photograph and reproduce, which makes them ideal for illustrations). I can deal with some loss in saturation, and with small changes in value. But if either one becomes too drastic, I start losing my cool. I can’t use that paint. It just changes too much for me to manage it in mixes. I told some folks at WetCanvas that this was the most extreme shift I’ve ever encountered, but when I wrote that I’d forgotten about my experiments with egg tempera some years ago. My rose madder pigment in egg tempera might have had an even larger shift, with the beautiful deep crimson changing back to the dry pigment color, which is a faded pink. Again, not usable, for me at least. See what they’ve done there? The color displayed on most paint packaging tends to have only a vague relationship with the color inside the tube or pan. This label matches not the paint color in the tube, but the paint color as it will be after it’s dried. And that, my friends, is one of the things that set Schmincke apart from their competitors. Oldest Known Drawing… and some newer ones. 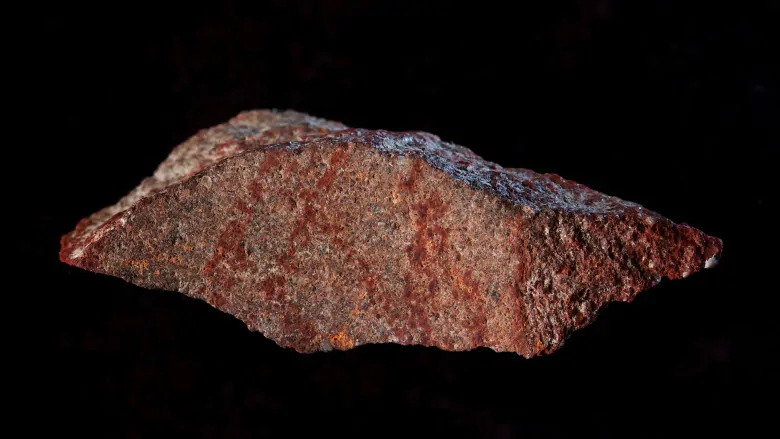 Appropriately enough, yesterday afternoon my phone alerted me that the world’s oldest known drawing was found in Africa—a cross hatching some 73,000 years old (though there are engravings much, much older than that). I say it was appropriate because at the time the widget popped up on my phone, my friend Cutter and I were just arriving at San Clemente Art Supply for an evening of life drawing. Cutter and I, and the facilitator Bruce, marveled at the extent of the tradition we were continuing. Nowhere near as important a drawing as the one discovered in Africa, certainly, but it was the best I could do. Not bad, not great, better than some of the others I did. Luckily for me, since I started drawing again (just a few months ago now), I don’t take the end result as personally as I used to. These days I’m enjoying myself more, experimenting more, not expecting any outcome in particular. 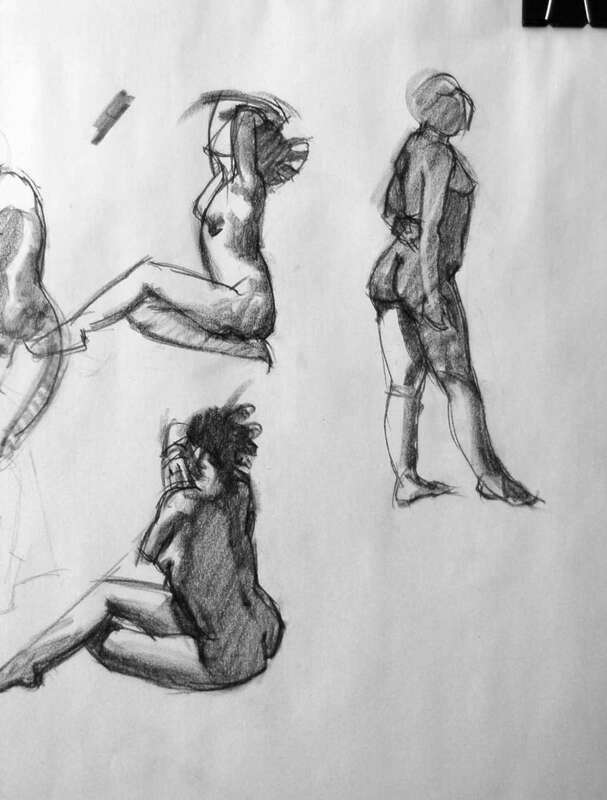 For instance, instead of relying on my abstractions, in some of last night’s quick sketches I tried just blocking in the values first before adding any lines at all. It was fun, like tightrope walking but without the possible dire consequences. I’m not even really trying to make good drawings anymore. Just playing. It’s a good place to be. I’m a traditionalist painter (some might say reactionary). I only do digital painting once in a while, and it’s usually just to enhance a photographed image. But right now I’m working to create good comps for my book cover illustrations, and I’m keeping digital finishes in mind in case I’m unable to get my gouache technique under control in time (which seems all too likely). So I picked up Affinity Photo, as it looked like it might finally be the Photoshop alternative some of us have been waiting for. The features looked great, and with the special they were running it was less than 40 bucks—certainly a reasonable price for a full-fledged photo editing and digital painting application. Especially when you compare its free-upgrades-for-life deal to Adobe’s pay-us-every-month-of-your-life racket. But when I tried Photo out, I immediately found some serious issues with their brush engine. To begin with, it periodically just… stops working. That is, I make a brush stroke (with either the drawing tablet or the mouse) and nothing happens. This goes for the Eraser tool as well. Sometimes you can restart the engine just by zooming in or out or rotating the canvas, but other times you actually have to close and then reopen the document to get it to work again. Needless to say, this is unacceptable. There are other, weirder things going on with the brush engine. Sometimes the eraser tool will work only if I begin the stroke over existing layer pixels. If I start the stroke over transparency and then move the cursor over the layer pixels, nothing happens. This odd behavior is fixed when I zoom in or out. This is called weird. On one notable occasion (actually, the very first day I tried out the application), the paintbrush antialiased to white instead of transparency, leaving jagged halos that showed up when I tried to paint a background on the layer underneath. This wasn’t because of any brush or layer setting that I could find; it started doing that and then stopped again, all on its own. I initially thought this stuff might be a problem with my limited CPU or RAM—Photo is currently hogging about 1.8 gigs of memory on an open file with many layers. But Medibang Paint Pro is using almost that much with the same file open, and I haven’t had similar problems with its brushes. Photo does have some really cool features, especially the live preview of both gradients and layer blending modes (hallelujah! ), and I’m sure Affinity Photo is a decent tool for photo editing. But I think the application just isn’t ready for digital painting, even with the low price tag. I’ve got the thing now, so I suppose I’ll keep playing with it from time to time—and with the free upgrades, I can hope these problems will be fixed in future releases. But in the meantime, for projects that matter, I’ll use a free app like MediBang Paint Pro (or even Krita or Fire Alcapa), even with its relative paucity of features and slightly clunky interface (the wretched type dialog!). Photo is much richer, but until they fix that brush engine I’m afraid I won’t be using it much. I’ve seen some great work done in this application—maybe others have had better luck on their machines. I’m genuinely sorry about this review. I’ve been waiting for years for a credible contender to knock Adobe off their horse. But as of now, from the perspective of this artist at least, Affinity Photo isn’t it.